Cherkasy (Ukrainian: Черкаси), is a city, located in Central Ukraine. It is the capital of the Cherkasy Oblast (province). The city is the cultural, educational and industrial center. The population is 287,583 (as of 2011 at cherkasy.one). It was founded around the 1280s. In the 1360s, the city becoming a part of the Grand Duchy of Lithuania. At that time was a fortified town on the south edge (of Grand Duchy of Lithuania), along with Vinnytsya, Bratslav and Kaniv making defensive line from Crimean Tatars. During 15th-16th centuries, Cherkassians took part in military marches against Tatars and Turkish. After the Union of Lublin in 1569 Cherkasy became a part of Poland. Cherkasy was the center of Cossacks, citizens took part in Khmelnychchyna and Koliyivschyna (cossacks' and peasants' rebellions) in the 18th century. After the Second Partition of Poland the city was incorporated into the Kievan Guberniya of the Imperial Russia. In the second half of the 19th century the city got railrod and its experienced a great economical growth. After the October Revolution in 1917 Cherkasy fell under Soviet rule. The Second World War damaged the city greatly. 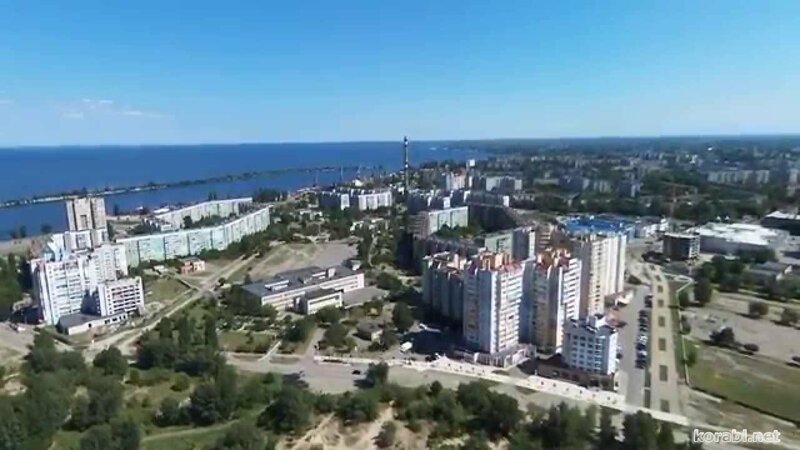 In the 1960s Cherkasy became the chemical giant of the Ukrainian SSR, after "Azot" (the biggest nitrogen fertilizer producing plant), "Himvolokno" (artificial fiber manufacturing plant), "Himreaktyv" (chemical reagents for military purposes) and many others were built in the city. In 1961 a Kremenchuk hydro power plant was built, forming Kremenchuk Water Reservoir with the longest dyke in Ukraine (15 km) with rail and road on it. The city is a big transport hub. The city located on the high right bank of the Dnipro River, in the middle of the Kremenchuk Reservoir, mostly on lowlands.